Are you new to Northwest? Are you searching for more information about God and His Word? Or maybe you have been coming for quite a while but can't seem to get connected? That's where Life Groups can help. First, every Life Group is to be intentional about God. As the giver of life on earth and life eternally, it is important for people to develop the relationship God created us to have with Him. 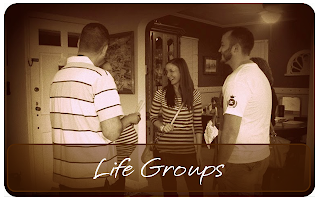 Second, every Life Group is to be intentional about authentic community. Not only did God create us to have an intimate relationship with Him, he created us to live in authentic community with other people. Our goal is for people to do Life together, spiritual life together. Finally, every Life Group is to be intentional about serving others. The way way for people to know we are serious about God is to have a servants heart. Jesus said to be first you must be last and be the servant of all. Serving with people in a Life Group enhances our authentic community. When serving together we grow closer to God and each other. If you are interested in any of these Life Groups then contact the church office @ 330.929.5776 or send an email to Scott at: sbaker737@gmail.com.